As Bill Bonner and I embark on a new investment project, I’ve been sending him notes about great investors. The idea is simple: We want to know how they invested so well, and what we can learn from them. I recently sent Bill my notes on a book I read about legendary investor John Templeton (1912–2008). It’s called Templeton’s Way With Money: Strategies and Philosophy of a Legendary Investor by Jonathan Davis & Alasdair Nairn. The lessons from this book are in many ways foundational to how Bill and I will approach the Bonner family’s personal portfolio… and the new investment opportunity I’ll be sharing with you soon. He started his flagship Templeton Growth Fund in 1954. He ran it until 1992. The average return was about 16% per year for 38 years. This was almost four points better than the market over that time… an astonishing achievement. He did it without using debt and often had excess cash. If you had put $10,000 with Templeton in 1954 and left it there, you had $1.7 million when he stepped down in 1992. That’s a 170-fold return. His only criterion was that a stock should be cheap at the point of purchase… The biggest crime an investor can commit, in his view, is simply overpaying. You can use cash flow, sales, profits, or dividend yield to measure “cheapness.” But the results are always about the same: The cheaper the stock (or the stock market), the better the resulting returns…. On this, we are in complete agreement. Templeton’s philosophy is one we want to emulate. Buying cheap is step one. Step 2) He was happy to hold high levels of cash and bonds when cheap stocks were hard to come by. In 1969, he had a third of his fund in cash/bonds because the high-flying market did not offer many cheap stocks. He was not a market timer, but he stuck to his knitting even if this meant trailing the market when it went nuts. Step 3) His field was the world. Templeton went where the opportunity was. For example, he invested heavily in Japan in the early 1970s when it was out of style to do so. There he found rapidly growing companies trading at cheap prices. In 1974, he had 62% of his fund in Japanese stocks. Meanwhile, the World Equity Index, a benchmark for global markets, had just a 12% weighting in Japan. Step 4) He was not afraid to change his mind. By 1978, he had less than 10% of his fund in Japanese stocks. As the stocks grew pricey, he sold them. By 1989, when the World Equity Index had a 40% weight in Japan, Templeton’s weight was 0%. The Japanese market would never recover the heights it climbed in 1989. What’s important here: Templeton did not wed himself to any of his ideas. Everything was for sale at the right price. Step 5) He was not afraid to concentrate his holdings. He often made big bets on things he had high conviction in. In 1969, for example, his largest holding was 15% of his fund. And as I discussed above, he once had over 60% of his fund in Japanese stocks. This was a pattern throughout his career. Step 7) His performance improved when he moved away from Wall Street. Templeton moved to the Bahamas in 1968. There he worked alone, over a thousand miles from Wall Street. Sometimes he would do his research for only a couple of hours a day. He was patient and thoughtful. 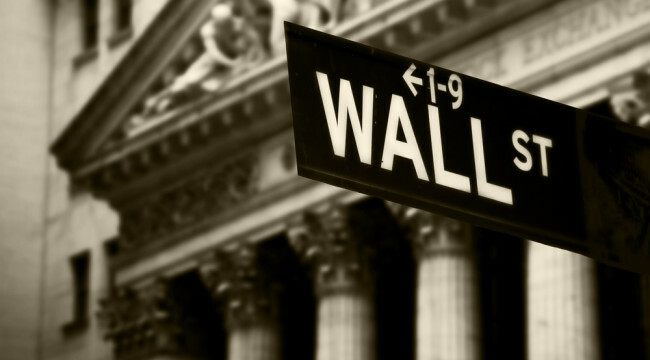 Many great investors today work off Wall Street. Step 8) He wasn’t good all the time. This is critical to understand. The best investors often have periods where they look bad. Templeton was no different. His fund lost money in 10 of those 38 years — almost 25% of the time! From 1971 to 1975, he trailed the market in three years out of five. Every time he did, the media would write stories about how he lost his touch. Incredibly, for the first 10 years of the fund’s life, Templeton trailed the MSCI World Index. Today’s impatient investors would likely fire such a manager. Step 9) He held his stocks for four to five years on average. He also urged his investors to judge him on five-year returns. Few investors hold their stocks for even a year or two. They are like gardeners pulling up their tomato plants before they get their tomatoes. Step 10) His best years as an investor were his last 20 years. And he quit running his fund when he was almost 80 years old. I told Bill he has a lot of years yet! As I mentioned above, Templeton’s approach is one Bill and I strive to emulate… and part of the foundation of our new venture. I think you’ll be as excited about it as I am.